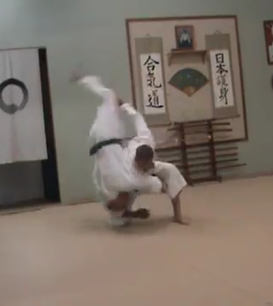 In my mind Master Morita’s aikido looks like a big circle. If you consider the Ni-Dan testing requirements relating to blending, it seems his idea is that most often nage will move away from the punch in a circular fashion. This is why you have the blending line at the end of a lot of classes ~ where you are always moving away from the punch. 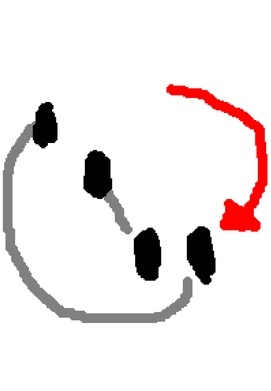 This movement, while potentially creating trouble for combination punches when uke throws a roundhouse punch or in multiple attacker scenarios, creates a simple movement outline that works with all varieties of attacks, and consistently positions nage in his rightful place: namely, in the whirlwind eye of the proverbial hurricane. 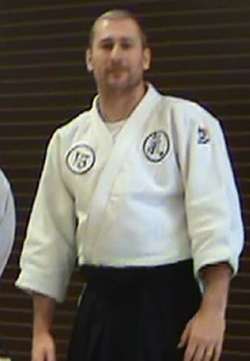 Consider this video featuring Sensei Heath Macaluso. If anything the blending is monotonous, a simple step inside, and a swinging of the back foot away from the punch ~ but you can not argue it’s effectiveness. So many times I find myself exploring the fringes of the art ~ wanting to secure its boundaries in my mind’s eye, but it pays great dividends to come back to the core principles of the art. So hears the deal: You want to show lineage to Mr. Bowe and Master Morita? 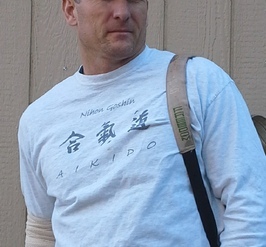 Well, make sure your aikido looks like Mr. Bowe’s aikido.